It was pointed out to me that my writing is somewhat sad and lost. Who wants to read my whiny crap? I mean, really. There. Is that better? 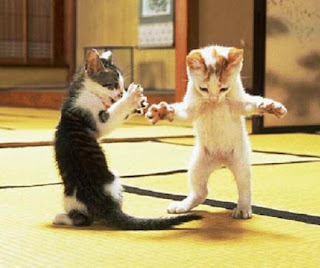 Look at the little cats dance.